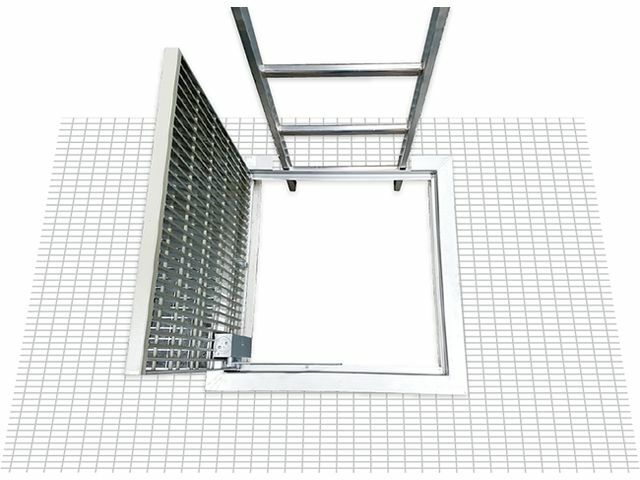 Floor hatch in composite material with an extra light flap hinged on an axis with an automatic closing cylinder. 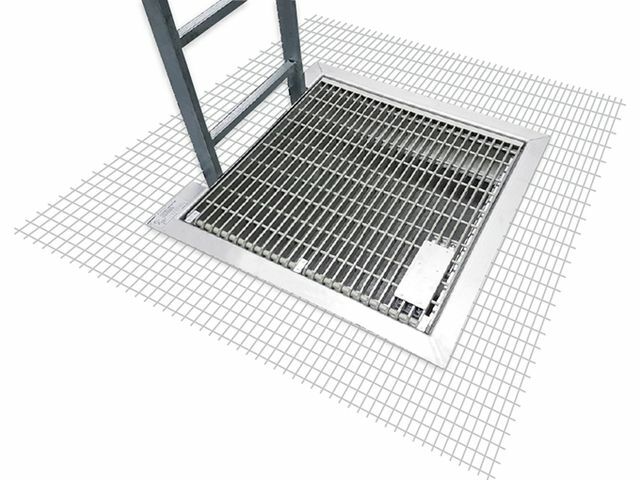 Allows to ensure openings in walkways are constantly closed (securing working areas). 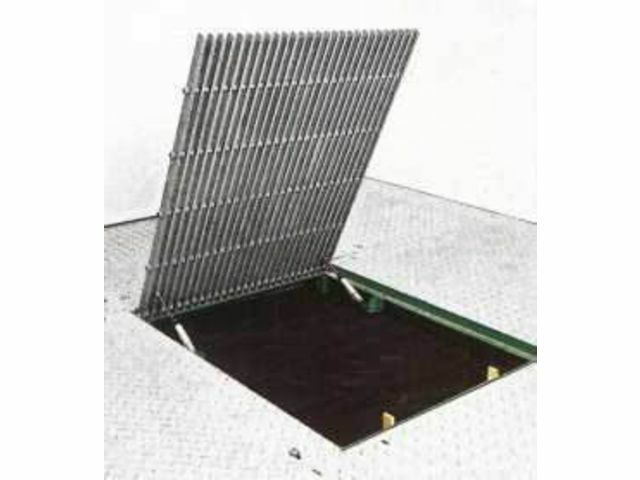 The opening angle of the hatch is limited to 100° due to a metal cable which triggers a closing movement by gravity under all circumstances. Hold the floor hatch by the slatted blades and open until freeing the opening completely. Automatic closing after passing through.